This week, we are talking about flourishing and wholeness. It is odd to me that only in the last few years has the word “flourishing” become part of my vocabulary for communicating faith. I often do Google searches to find pictures for the blog post. Typically the words I use in my searches are surrounded with Christian images. “Flourish” was not. It is a word often outside of our faith vocabulary. Yet I think flourishing may be one of the more important concepts of Christian faith, especially when it comes to evangelism. When we talk about flourishing as Christians, it starts with God creating the word out of love. Because of this, God is on the side of human beings and wants to see them grow and develop and expand and be whole. God wants us to flourish. To have “full life.” This does not always means we get exactly what we want (and definitely does not equal God wants you to be rich and happy), it means that God made the world, knows the best ways it works, and wants human beings to live into the full life God intends for all of us. This is such a different perspective than assuming God made the world in order to impose a whole bunch of rules and send people to hell for not following them. Flourishing says God wants what is best for us and works in unbelievable self-sacrificial ways to help us live into the fullest and most meaningful life available. But we have the other perspective vary ingrained in us, and it leads to all sorts of unhelpful ways of living and acting in the world. There are no other categories that matter. In the end, these are the only two distinctions that matter to God. And if they are the only two that matter to God, they are the only two that should matter to us. Which leads to a very triumphal and expansionist view of evangelism. If the world is divided into saved and lost, then the whole point of evangelism is to transfer as many people from lost into saved. The goal is to get people on our team. It is a numbers game we are trying to win by any means necessary. Therefore most of our “evangelism” becomes agenda driven with a lack of concern for actual people and actual issues. Good-hearted agendas perhaps (e.g. I don’t want you to go to hell) but agendas none the less. You can see how this leads to an unhelpful cycle of how we view God, people, and evangelism. So what would evangelism look like if we started not from a dualistic mindset of saved/lost but from a place of God loving all of humanity and wanting us to flourish? In Luke 10:1-12, Jesus sends 72 of his disciples out to announce the Kingdom. He tells them to take nothing with them, not to bounce around from house to house, and if the people aren’t willing to listen, to move on. In other words, God sends people out with no agenda, but asks them to start with peace and listening to what other people have to say. Jesus asks his disciples to trust God is working and will take care of the whole thing. He doesn’t tell them to go in and beat people over the head with what they believe or what the other person is doing wrong. He tells them to stay, build relationships, and create dialogue. Go. Listen to people. Dialogue. And see what God does with it. If people want to talk, keep talking. If not, move on with your life. And trust that God works in the places where they don’t talk too. But this requires us to drop our agendas and categories and learn to just be with people. But what if we re-framed this? What if we had relationships with people who were different in order to make both of our lives better? 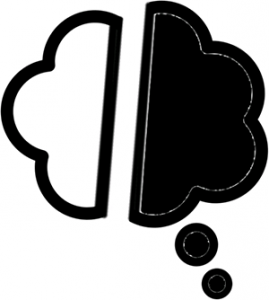 What if we loved them in the midst of the difference and tried to understand their point of view and really listen? Because in the end, I have no control over how someone responds to the message of Jesus. They have to be willing. And even if they are, it is Jesus who transforms people, not me. 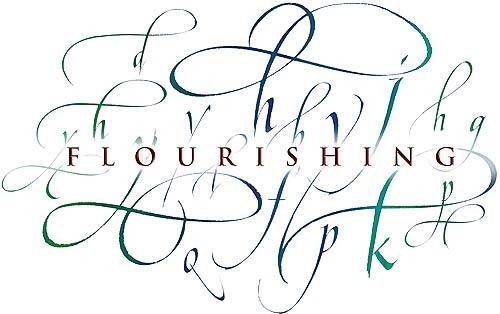 All I am able to do is embody the Good News and show people a picture of flourishing. This is bringing good news. Love in the midst of difference is central to what it means to flourish, and if we live that live out, we can always attribute our reasoning to being followers of Jesus. We allow other people to be humans and not just targets or categories because we are in dialogue with real people we actually care about. What if we got into the relationship business instead of the conversion business and allowed Jesus’ radical, difficult grace to guide how we behaved in those relationships rather than constantly having an agenda to convert people to our unhelpful categories? Flourishing is about the world being filled with more grace and peace and love. This happens in relationship with real people. And relationship doesn’t happen when have hidden agendas. We love across difference because this is what Jesus teaches us to do. And when we do, our lives flourish, and the lives of those around us flourish as well. Which is pretty good news. This entry was posted in Uncategorized and tagged Agendas, Categories, Dialogue, Dualistic Thinking, evangelism, Flourishing, Peace, relationship. Bookmark the permalink.